Ever wonder how you are going to keep that cloak closed? 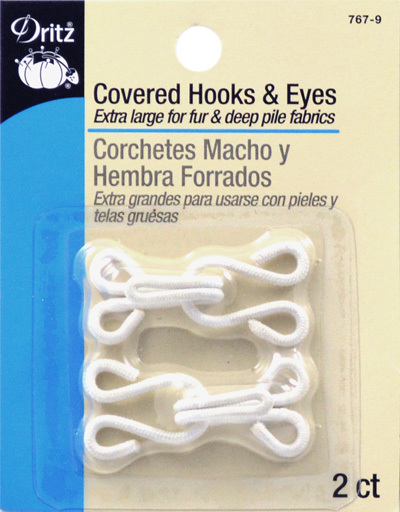 These large hook and eyes are perfect for closing a coat, wrap, cloak or for attaching a bustle when using bulky pile fabrics like fake fur. When hooked together they are 1 1/2" wide.